While driving on the Appalachian Highway, toward the Ohio-Kentucky border, you may find yourself passing through Adams County. Resting 45 miles east of Cincinnati and 90 miles south of Columbus, Adams County offers attractions that could enhance your travel experience, or provide some afternoon entertainment. Here is a sampling of the site’s Adam county has to offer. 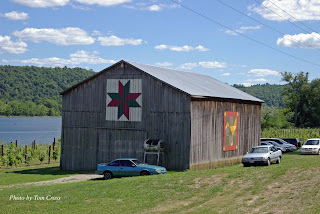 Along the road, there is a patchwork of barns adorned with quilt square murals. 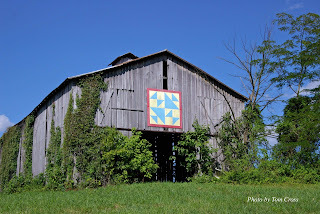 The murals, known as the Clothesline of Quilts, were originally created by Donna Sue Groves in 2001 and dedicated to her mother. The murals multiplied and today there are 21 quilt squares across Adams County. Spanning 1,370 feet and standing three feet high is the largest effigy in the world: Serpent Mound. 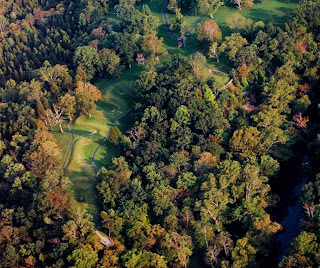 The Serpent Mound is recognized for is its association with the summer and winter solstice. The head of the serpent is aligned to the sunset of the summer solstice, and the coils of the tail align with the winter sunset. Visitors are encouraged to walk the footpath along the serpent and visit the museum created by the Ohio Historical Society. Of course, every area has its quirky treasures, and Adams County is no exception. The William Lafferty Memorial Funeral and Carriage Collection is a museum of mortuary items housed in Ohio's longest-running funeral home. The funeral home has been in business since 1848, and today’s collection features items from the nineteenth and twentieth centuries. 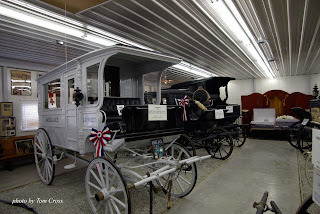 In the museum visitors can see horse-drawn and motorized hearses, caskets through the ages and tools of the mortuary trade. Many of the items were used for the Lafferty’s funeral home business.